To those within travelling distance of the Somerton treatment rooms, we offer a 15 minute supplement check appointment. For this option, or if you wish to order products, please email via the contact page. For those not attending an appointment, as it is important to use Energetix with the guidance of a trained practitioner, please note that we may make recommendations through email to a customer if we think that a particular combination of remedies is not optimal, or to verify that the customer is under the care of a practitioner. They are dedicated to providing outstanding resources and solutions for practitioners and their clients. Energetix recognizes that the creation of quality products requires innovative formulations, pure raw materials and clean processing methods. For this reason, they utilize only the purest ingredients to create unique formulations that work synergistically to address causative factors in the ever-changing healthcare environment. Energetix only partners with practitioners who are interested in advancing the scope of their practice by offering a new level of healthcare to clients. The company do not sell products directly to the public. Nosode Detoxifiers: Encourage the release of toxins from deep within the cells. Drainage & Tonification Remedies: Drain and tone the organs, glands and tissues. Sarcodes: Supply the body with a blueprint of healthy tissue from which to rebuild. Please see our homeopathy page for further information. A wide range of nutritional supplements including probiotics and enzymes. A range of "home pharmacy" items. 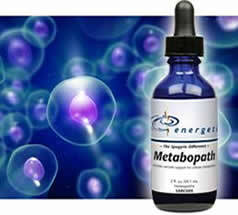 Energetix products are "BioEnergetic", which means that the products are full of life (bio) and energy (energetic)! 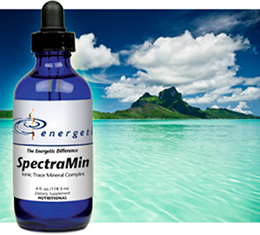 Each product is energetically activated with enzymes, biophotons, and homochords, which target every aspect of the body from the atomic particles to the organ systems. With today's complex health concerns (elevated stress levels, changes in food sourcing, and environmental toxins) clients and practitioners alike are seeking unique and effective solutions. All the formulas are "systemic", and support the entire body. Each product is designed to combine and complement each other as well as other therapies and product lines. The benefit is a streamlined, concentrated product line that can be offered by the Therapy Network to integrate into your chosen health strategies. Whether your goal is to alleviate symptoms or move through a healing process to the ultimate maintenance program, Energetix is for you.